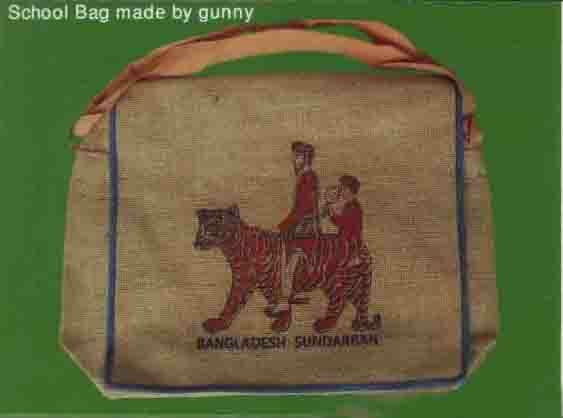 Mathurapur Jolly Polly is a typical village located on the banks of the Chuna River on the outskirts of the world’s largest mangrove forest called The Sunderbans. The villager’s principal occupation is fishing. Their livelihood depends on the entire family being engaged in fishing and collection of shrimp fry. This compromises the future education and social development of women who spend the bulk of their time attending to these tasks. Furthermore, the exploitation of natural resources has impacted the health and bio diversity of the mangrove ecosystem. There is an urgent need to balance the livelihood and socio-economic needs of the communities and the natural health and stability of the Sunderbans and the surrounding regions. The Sumar Lakhani Foundation in collaboration with Bangladesh Environmental and Development Society has launched a new project that aims to promote livelihood activities that are environmentally sound, economically realistic and sustainable. A training center has been established in Mathurapur to teach sewing techniques, garment design and the manufacture of eco-bags. Teachers with experience and knowledge in sewing and textile products have been hired. The class meets each weekday for three hours. Typical class size is 30 students with about equal numbers of married women and girls whose education was interrupted by the need to earn a living and support the family. The women learn to cut textile material to make dresses and underwear. 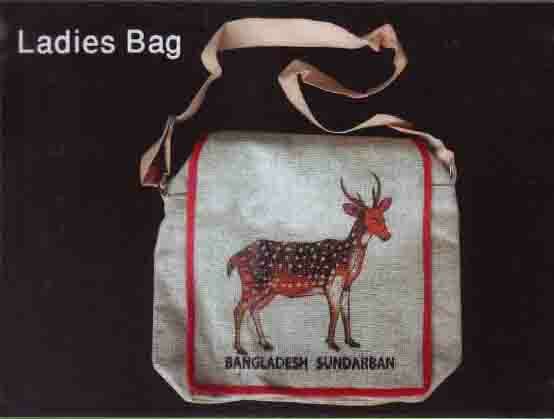 They also learn to make bio-degradable cloth bags with embroidery based on colorful cultural motif. One of the goals of this effort is to create marketable textile based products. This new activity will reduce the stress on the local fisheries and shrimp eco-system. The students will acquire a skill set that will empower them to seek other forms of earning a living beyond fishing by setting up small businesses to fix torn family clothing, make school uniform and other custom dresses. The training center also will provide a social meeting place for the women and eventually a forum to fill in the gaps in the education of the women. This is a step to promote balance in economic, social, environmental and cultural status of the women and their communities to become more self-reliant in the face of shifting and unpredictable global conditions.